The U.S. Fish and Wildlife Service on Monday removed the Sonoran desert tortoise from consideration for protection under the Endangered Species Act. 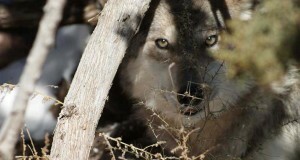 The Arizona Game and Fish Commission has voted to support congressional action aimed at removing gray wolves from the federal endangered species list.